for $1,198,000 with 2 bedrooms and 2 full baths. This 1,182 square foot condo was built in 2018. The 2 bedroom 2 bath unit is a corner unit with 15 foot ceilings and floor to ceiling windows with a DTLA view! Rediscover Downtown Los Angeles' iconic address for premier high-rise living. Featuring innovative, contemporary architecture by the award-winning Gensler, residences at Metropolis maximize light, air and views, with floor-to-ceiling windows framing panoramic vistas of the Los Angeles skyline and Hollywood Hills beyond. Soaring ceilings rise above versatile, open floor plans, while highly curated modern detail and refined finishes enhance the living experience from within. 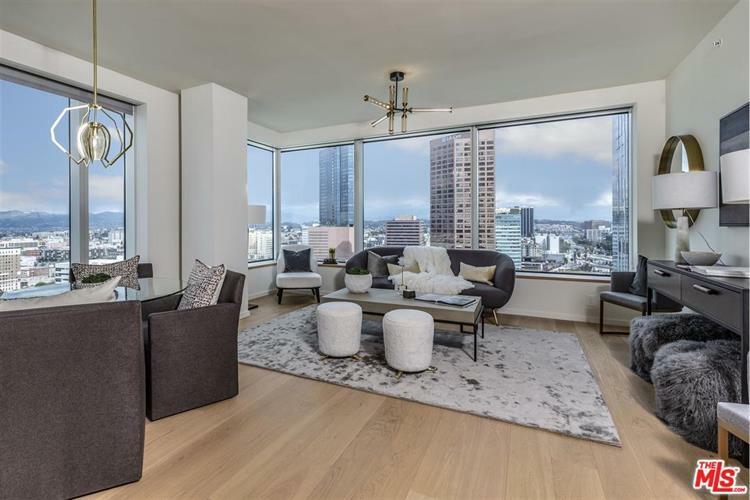 Among home features are expansive great rooms, gracious master bedroom suites, walk-in closets and seamless, chef-caliber kitchens.Elevated resident-only amenities include over ~41, 000 sq. 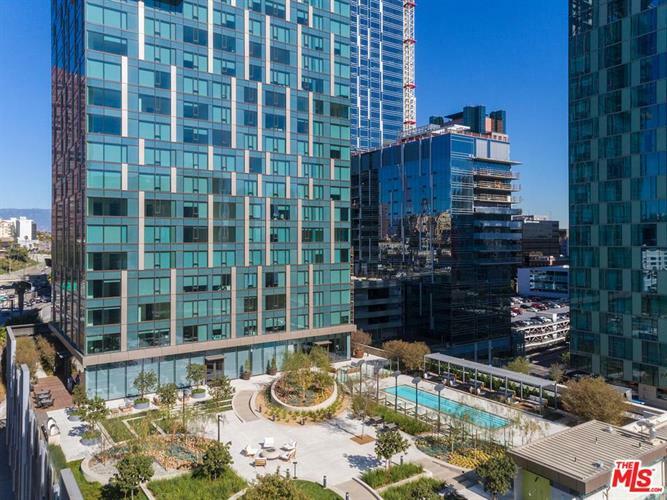 ft. of indoor and outdoor amenities, from a heated outdoor pool, meditation garden, billiards room and clubhouse, Sky Park, world-class fitness center with indoor/outdoor yoga room and more.